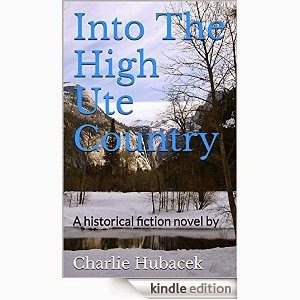 Charlie Hubacek’s historical fiction novel, Into the High Ute Country (ISBN-9781311362278, 978-1508606536, ebook and POD paperback, 200 pages, readers 10 years and up) was released March 16, 2015, by Hart Hills Publishing. This book is available on Smashword, Kindle and Createspace. John Randolph left Missouri following a long and devastating drought that caused him to lose his farm. He had heard of gold just for the taking in Colorado. On the way, he nearly died traveling over the hot, dry high plains, but he was rescued and taken to a new town in the Rocky Mountain foothills. There he found a new life as a lawman, with new problems and new challenges. About the Author: Charlie Hubacek has always had an insatiable urge to write since he was eight years old. Following his departure from formal education, he was employed for many years with a number of weekly newspapers in southwest Missouri working in retail advertising, as a feature writer and an operations manager.